Calling… (727) 937-7177 We answer all calls! We can schedule your service call at your convenience usually within a day, instead of a few days like other irrigation companies. For residential customers, we accept all the major credit cards and email invoices/receipts when requested. We call ahead before we arrive. 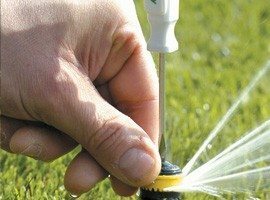 No matter If you’re having problems with sprinkler heads, brown spots, controllers, timing, electric wiring, pipe breaks, leaks, flooding, pressure loss, bad drip lines, zone issues, or any issue regarding your irrigation system or sprinklers that needs to be repaired. ATZ has you covered! Always Quick and Reliable Sprinkler Repair Service! Expert Troubleshooting to quickly discover the issue. 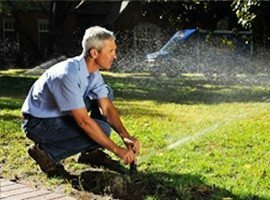 Water wasting is a big concern for most homeowners and having a professional irrigation technician go through your lawn sprinkler system can maximize your coverage and diminish your water consumption and water bill. This has earned us the reputation as #1 sprinkler repair company in the Tampa Bay area: Palm Harbor, Tarpon Springs, Trinity, Safety Harbor, Oldsmar, Dunedin, New Tampa, Wesley Chapel, Clearwater, Largo, and surrounding cities. #1 in Google search and #1 sprinkler contractor with Lennar homes! Click To Call (727) 937-7177 Today!